When looking to have a perfect, white smile, then there are certainly some cosmetic procedures that will catch your eye. 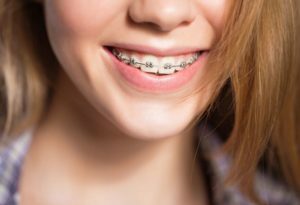 These procedures aim for not only improving the appearance of teeth, but they can also strengthen them and protect them at the same time as well! So in today’s article, we shall tell you a little bit about each of these cosmetic procedures with the help of Los Algodones dentists. A good set of pearly whites really gives a good impression whenever we meet new people! This is helpful for when we have to work with masses, talk to people, or even go on a date as they show that we care about ourselves and our image. More importantly, there are many procedures out there that not only enhances our smile, but also protects it from other threads. We guarantee that the effort will pay off if you choose any of these procedures! First we have the most popular procedures that accomplished a great smile in only one session: teeth whitening. As time passes, it’s natural for teeth to get stained and absorb pigments from dark foods. As such, this procedure seeks to remove surface stains from the teeth. For this, the dentist uses either gel or laser treatment, to leave the teeth pristine white and like a movie star’s. It is worth nothing that you still have to brush and floss your teeth daily in order to keep them from staining. Keep those oral habits strong! Teeth whitening can get expensive and pricey, for cheaper prices you can consult us in Los Algodones. Veneers are thin shells that attach to the front of your tooth. They are great for both reinforcing and improving how your teeth look. So if you have a cracked, chipped, stained or dented tooth, veneers work great! Not only does it improve functionality, but also achieve a lighter shade of white. The procedure itself is fairly quick: the patient gets some tests to ensure it is safe as well as to know the exact measures. Then about a millimeter of the surface tooth enamel is removed for the thin veneer to attach and glue on to. 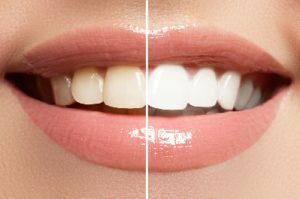 If you wish to give your teeth a more natural look, then veneers are for you. They will not only help improving color, but also shape! If you have have a tooth that has been affected by tooth decay, then that can be easily dealt with. Composite fillings are a mixture of components, usually plastic and glass, that mimic the color and hardness of a natural tooth. This procedure involves first cleaning and treating the tooth so that it is free of any harmful bacteria and decay. Then the dentist proceeds to apply the composite filling in layers, hardening them each time so the final product is as functional as a natural tooth. If you have a heavily damaged tooth that can still he used, then a dental crown can work. They are also called dental caps, and are a great solution for giving the mouth a natural look and functionality back. For a dental crown it is important to have everything prepared. For this, the dentist shapes the tooth into the proper shape for it to host the piece. In cases where it is really very damaged, a root canal will be needed in order to prevent future complications. If you wish to get a procedure, contact us to get in touch with the best dentists in Los Algodones. We have very good prices and a good personnel to take care of you! No Replies to "Common Procedures For A White and Healthy Smile"